Be part of the future of Smithsonian Folkways. Join our Membership Program and enjoy free downloads, exclusive gifts, special discounts and more. The Ralph Rinzler Folklife Archives and Collections are open to visitors and researchers by appointment. To contact the Archives or schedule an appointment, please call 202.633.6438, or email RinzlerArchives@si.edu. There are a number of opportunities for internships at Smithsonian Folkways Recordings. Internships can be from six weeks to one year, full-time or part-time, although working at least 15 to 20 hours per week is preferred. Internships are unpaid, but many schools give course credit. We are a cross between a record label and a museum so the experience is a mix of non-profit record business and applied ethnomusicology. Intern projects are generally in the areas of graphic design, marketing, mail order, recording production, and Web site production with tasks that include writing, social networking, research, mailings, and data compiling and organizing. Click Here for more information including instructions on how to apply. 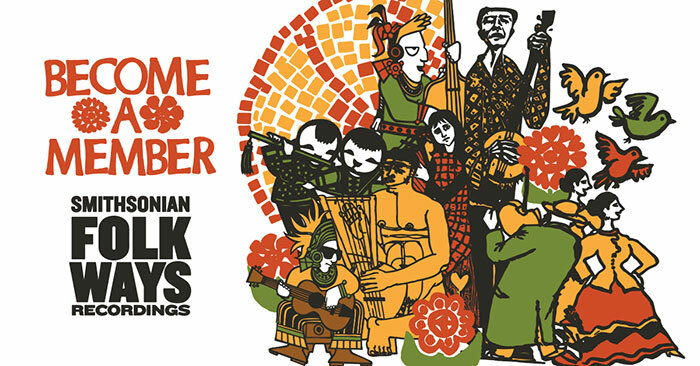 Volunteers are very welcome at Smithsonian Folkways Recordings, working on a number of projects in marketing, mail order, the archives, recording production, and adminstration. Please contact Beshou Gedamu at GedamuB@si.edu.